These make such a nice presentation. 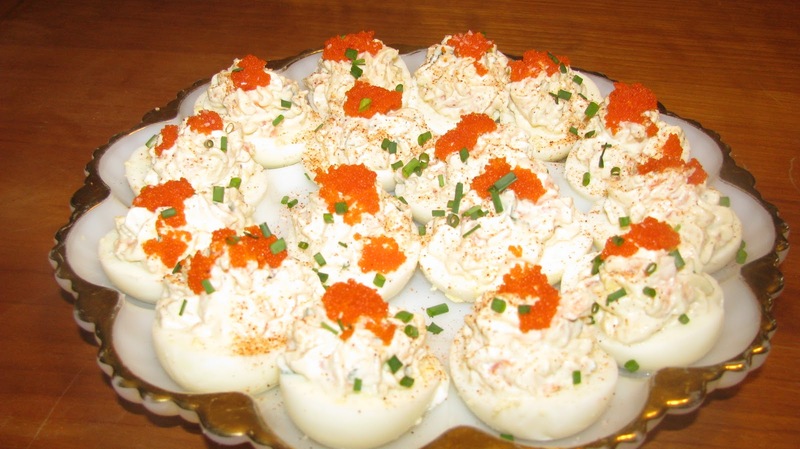 They are great for a small gathering and they are another Barefoot Contessa recipe. I LOVE that lady. 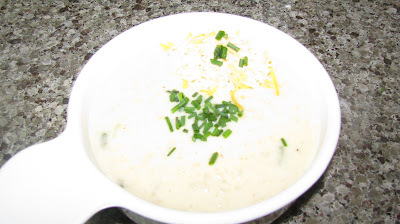 · I use kitchen shears to cut chives. It is much easier than cutting with a knife. · Salmon roe is not something you can pick up at the local grocery store. I found it at an Oriental market. This is a crock pot recipe that my friend Michelle shared with me. It's easy and low fat. Just put everything in the crock pot and let it cook all day. I use a Baby Swiss cheese for this recipe. It melts smoother. You can use green onions if you can’t find leeks. It tastes similar. This recipe is the combination of three different recipes that I've tweaked. It is not difficult, just time consuming. (I know, I have a lot of recipes like that.) This is the perfect first course for a dinner party. I use a Baby Swiss cheese for this recipe. It melts smoother. Cut a square piece of cheese into 4 pieces and place two small squares on each slice of baguette. After the rounds cool, I cut them into 4 pieces, so they are bite size croutons in the soup. Serving brunch? 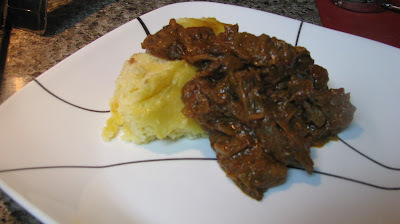 You will need a Grits and Grillades recipe if you want to do it the "New Orleans" way. This is not the veal steak "Grillades". It is just a lean cut of beef (round steak) simmered in a delicious gravy. See how the meat is so tender it's falling apart? 3. Make a dark roux with oil, flour, and drippings from browning the meat. This starts as a brown color because of the meat drippings. Be careful to cook the roux long enough, at least 15 minutes. 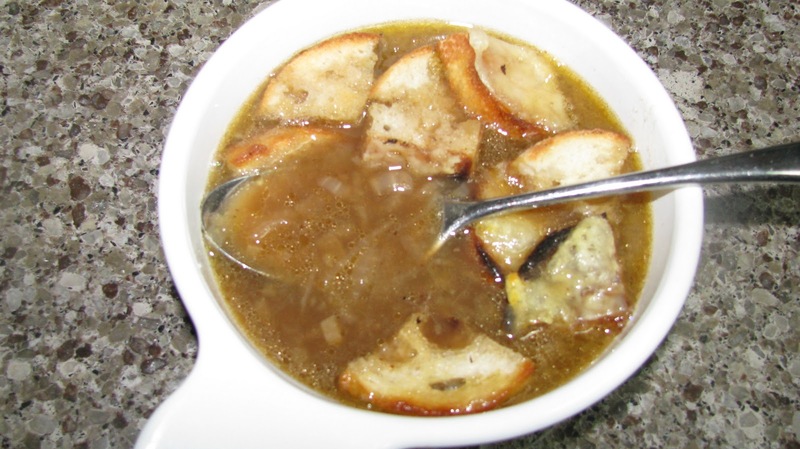 · I’ve tried cooking this in the crock pot and I didn’t have success. I have friends who say it can be done. · I usually start this the night before I am serving it. I cook it for about 2 hours and then put it in the refrigerator. The day it is being served I cook it for the additional 3 hours. You know the theory on the flavors getting to “marry” in the refrigerator. 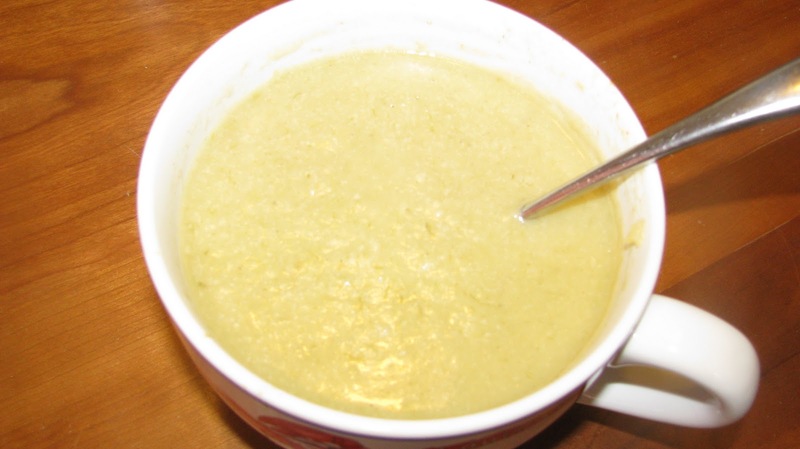 · This is great with grits. I make a Garlic Cheese Grits to serve with this. Follow my link to get the recipe. Great alone, but even better with Grillades. 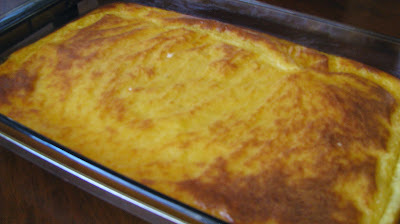 It bakes like a casserole and serves like one as well. I have not used quick grits for this recipe. I don’t trust them, because they get hard too fast. This recipe called for a roll of garlic cheese by Kraft. I tweaked it with the fresh garlic and Velveeta and I think it works well. This is another Barefoot Contessa recipe for the salad. The sauce is a creation of my friend Jeannien's mom, JoAnn. This is great to serve for brunch or to bring for a potluck. It is easy to make, but makes such a nice presentation. I know you might think, vinegar with berries GROSS! 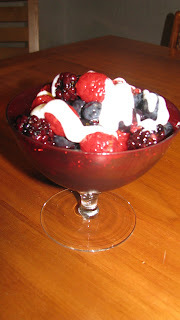 It is NOT, you don’t even taste the vinegar, but it compliments the berries and sugar so well. The sauce is not necessary, but SOOO good. I serve the sauce in a gravy boat and let people pour as little or as much as they like over the berry salad. If you don’t make the sauce, you can serve the salad over vanilla ice cream. We have also served this salad over angel food cake or pound cake. This is my Mom and Dad's Seafood Gumbo recipe with minor tweaks on my part (lump crabmeat). 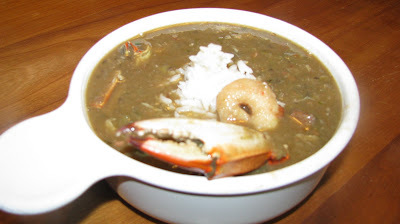 WARNING: you won't be satisfied with seafood gumbo from most restaurants after you eat this Gumbo. It is labor intensive, so block out several hours, but it is worth it. You can make shrimp stock to use instead of the water. It is easy! Follow my link to find out how I make mine. If you don’t have a cast iron pot you can make a roux in a heavy bottomed pot instead. The trick is to stir constantly. You can NOT multi-task during this step. This is where the base of flavor for your gumbo comes. Be diligent, it takes about 20 minutes to make a roux the color you need for gumbo. I use Bryan Cajun Smoke Sausage in my gumbos. 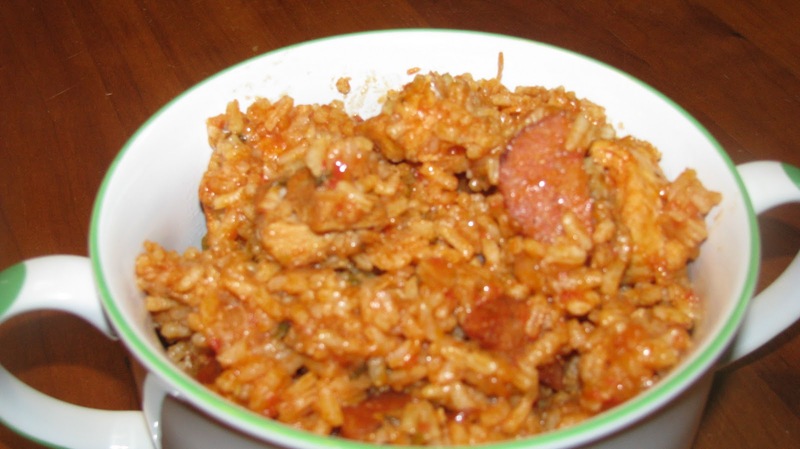 It has a soft casing that absorbs some of the gumbo. Yum! This gumbo always tastes better the next day, so make some room in your refrigerator. The flavors get to “marry” (as 9th ward Gloria says) as they sit over night.